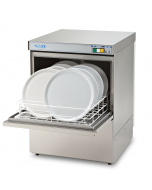 The Electrolux NUCA1DDG (698005) is a high-powered commercial dishwasher capable of washing up to 40 dishwasher baskets, or 720 dishes per hour. 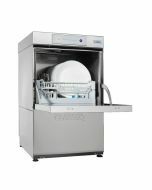 It is well suited to high-capacity washrooms where hygienic washing and sanitising or compliance with health and safety is important. 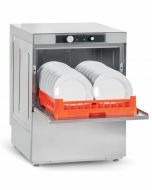 The Electrolux commercial dishwasher features a high-powdered 4.5Kw atmospheric boiler with 12 litre capacity that can raise incoming water temperature to 84c, regardless incoming pressure or temperature. 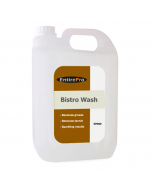 This guarantees a hygienic rinse that kills all bacteria and germs on every wash cycle. 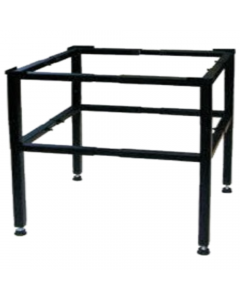 A high-efficiency air gap (class A) break tank with WRAS approval is fitted as standard to prevent any dirty water from being siphoned back into the fresh-water supply if there is a sudden loss of water pressure. 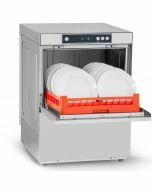 This makes the Electrolux NUCA1DDG commercial dishwasher fully compliant for installation in high-risk areas such as care homes, hospitals and day nurseries. 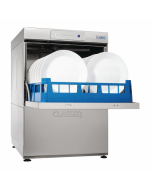 4 second (variable) pause after washing and before rinsing ensures that no drops of unclean water will fall on the items at the end of rinsing and a soft-start feature adds protection for delicate items. 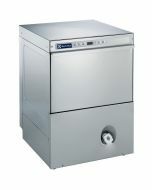 Digital temperature read-out keeps operator informed as to temperatures achieved at all times. 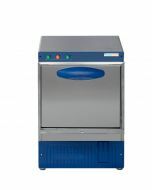 Self-diagnosis software keeps track of servicing and cleaning or maintenance requirements and an automatic interior self-cleaning cycle ensures machine hygiene. 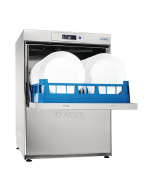 Inbuilt detergent, rinse aid and drain pumps guarantee completely automatic operation. 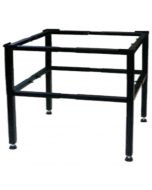 Boiler drain-out function to remove stagnant water after long periods of inactivity. 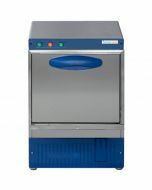 Pre-arrangements for HACCP system implementation and energy management devices. 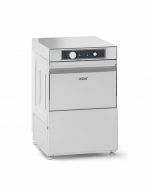 Fully double-skinned AISI 304 stainless steel construction, including stainless steel wash tank, tank filters, wash arms and rinse arms, the Electrolux NUCA1DDG commercial dishwasher is hard-wearing and durable. 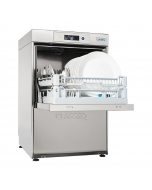 All components are easily accessible through the removable front-panel for maintenance and the rounded corner wash tank with interchangeable screw-out wash/rinse arms for easy cleaning. 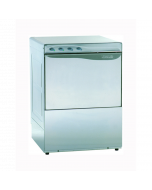 Includes dishwasher baskets, waste and water hoses as standard. 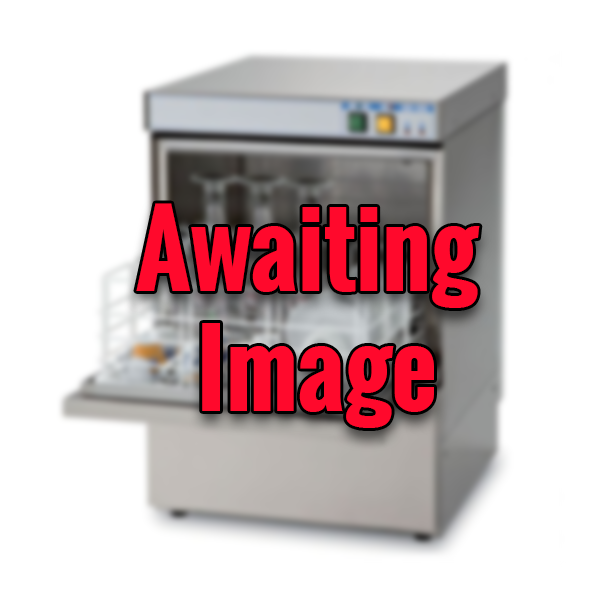 Multiphase electronics shipped as 1 Phase 230v 30 Amp (hard wired) 5.35Kw as standard. Can easily be converted to 3 Phase 400v on-site. 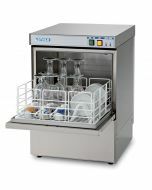 An optional water softener should be installed in hard water areas to ensure machine longevity and prevent damage to components that may invalidate your warranty.